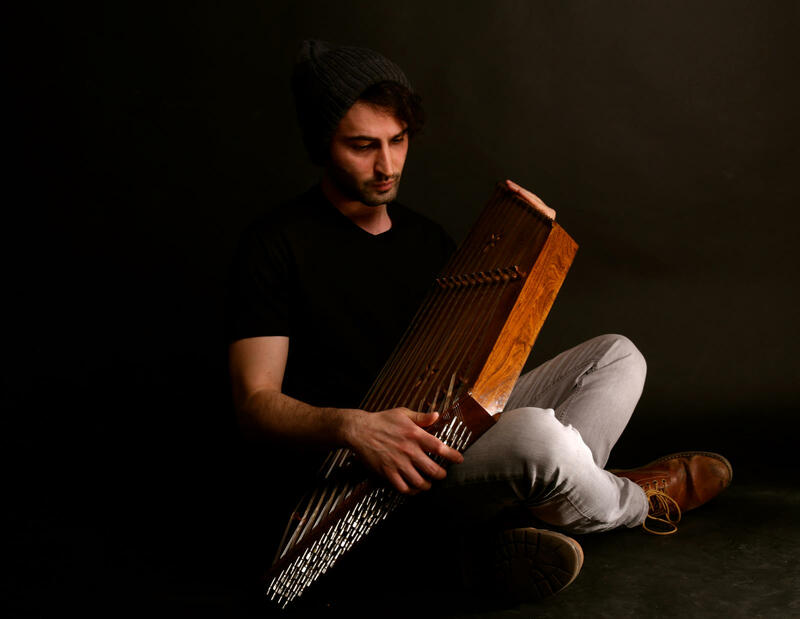 Sina Bathaie (Siː Nɒː BæT hɒː iː), composer, Santur player based in Toronto, Canada is known for his unique style and approach toward Persian contemporary music. His hypnotic performances have garnered him fans from across the globe. 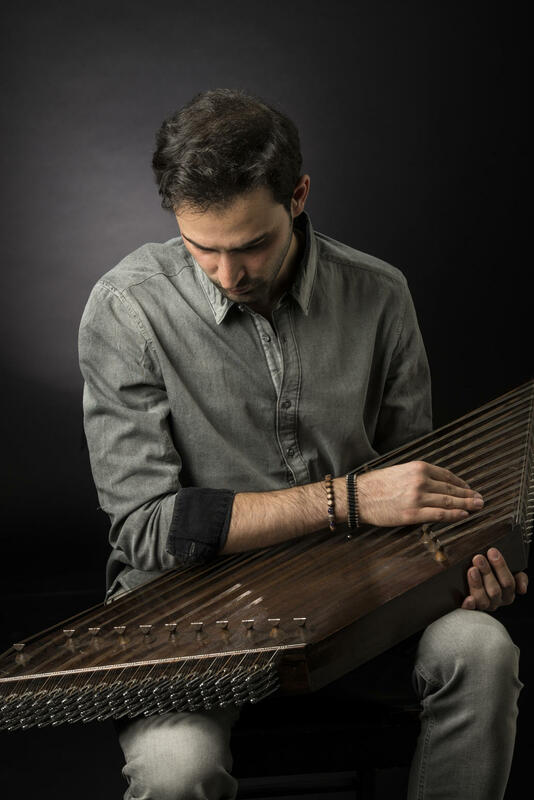 Born in Iran, Sina started learning Santur at the age seven from his father, Master Javad Bathaie. He then followed his passion in music by practicing Persian classical repertoire (Radif) with the instrument Oud and explored the concept of rhythm by learning Tonbak (Persian Percussion). 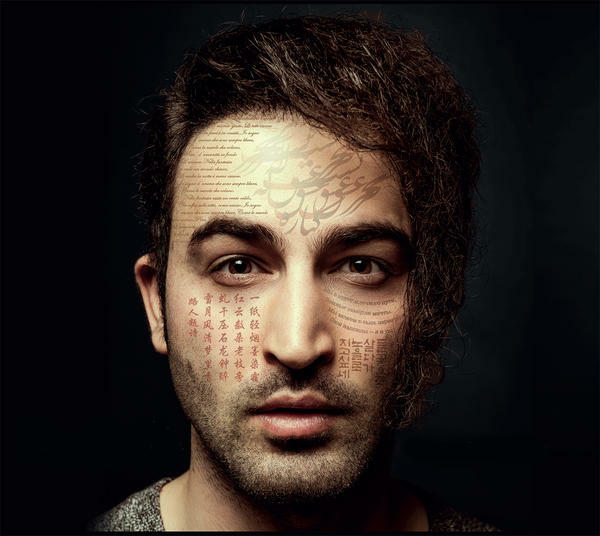 Sina entered the world music scene soon after moving to Canada, and received recognition by being featured at events and festivals such as the Luminato Festival, Aga Khan Museum, In/Future – a Festival of Art & Music, Small World Music, Mundial Montreal, Sunshine Festival, Quiet Strings and South Asia Calling. CP24 and CBC Radio Metro Morning have also featured him. He developed his own style of music through years of experimental collaboration and attending artist residencies such as the Banff Centre for Performing Art and achieved a unique sound in world fusion music which has received many positive reviews. His first album Sound of Silence was recorded and produced in Montreal in 2012 and has been acclaimed by music critics. His latest album Ray of Hope was released on Windcatcher Records on Oct 2017 with his World fusion ensemble. Sina has been also active in the movie industry and composed original music for the movies such as The Horse Latitudes and Un royaume déménage (Once Upon a Kingdom).